Once again, the annual Brooklyn Invitational, held in mid-September, showcased a variety of builds in the dramatic Root Studios. Located in the Greenpoint area of Brooklyn, both the studio and surrounding streets displayed some amazing work from talented builders and followers. As usual, bikes started rolling in late morning, and by mid-day, the streets were lined with choppers of every type imaginable. From a quick look around, you could tell people had traveled from all over to check out this annual Northeast event. 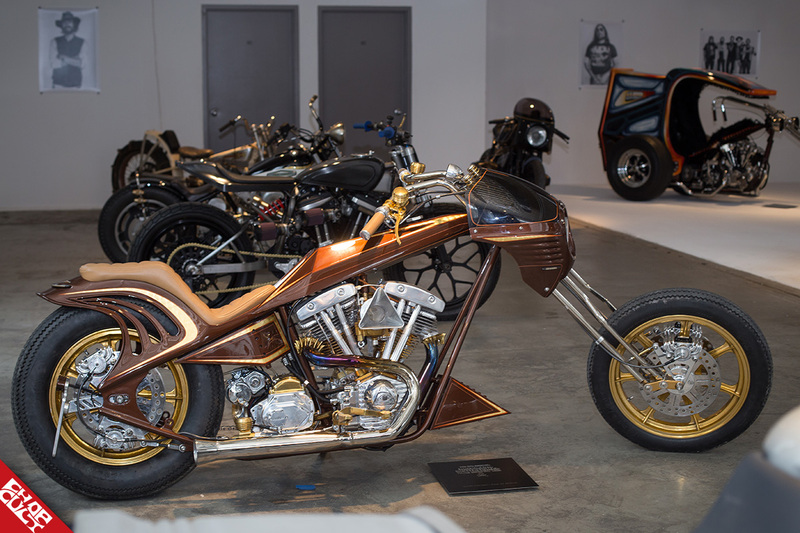 Although the main draw to the show is the curated group of bikes inside the gallery, a good portion of the crowd spent their time walking the streets outside of the event. For the past few years, the weather has been perfect for hanging out in the neighborhood and taking in the sites. With a little less street traffic due to a slower event schedule in the area, the atmosphere outside was more chill and laid-back, a great chance to recover from the pre-parties the night before. Inside was a different story, with builders and groupies cramming into the show area to catch a look at the wide variety of bikes. 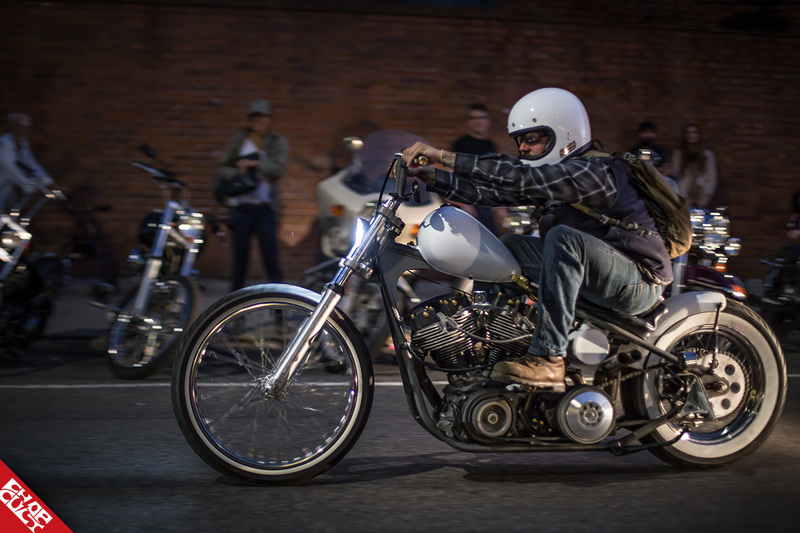 Of course, social media was blowing up with shots of the bikes, builders, and highlights of the day. 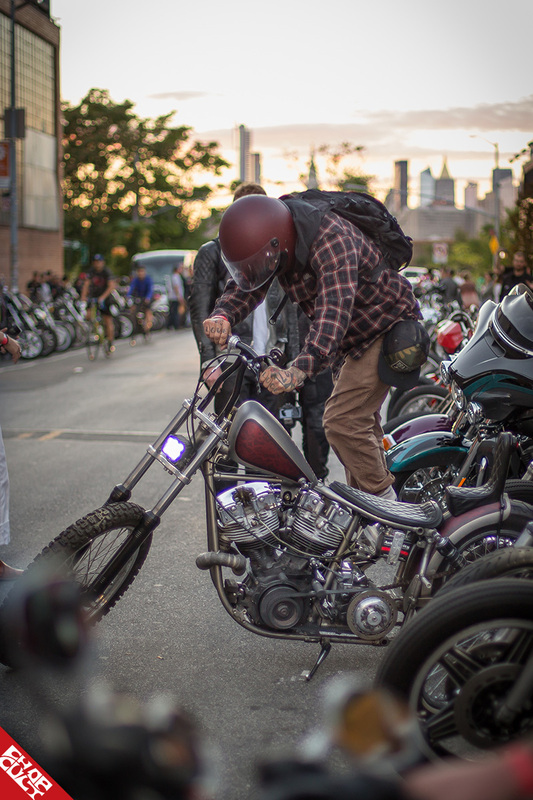 As daylight turned to dusk, the Manhattan skyline provided an excellent backdrop for bikes still rolling in. By this time, bands had warmed up and a second night of partying in the well-known neighborhood started all over again. Keino Sasaki is part of the team that organizes the event. I had a chance to ask him a few questions about this year’s show. I’ve attended the show the past few years and there always seems to be a wide assortment of bikes represented. What was the thought process or criteria for the builders invited this year? Since the beginning, diversity of bikes in our show has always been the main thing. This isn’t something new. We are always searching for bikes that we would like to include, different genres, different purpose-built machines. 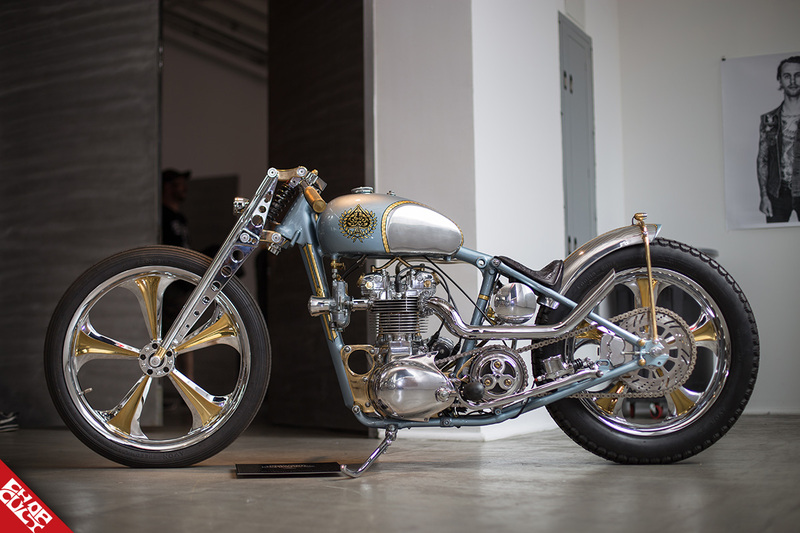 We try not to have bikes that have a similar look or style. How does the Invitational differ from other shows of this size and popularity? We curate collections and carefully work on the presentation of the event. We try to keep it small and intimate. We like to present the show as an exhibition you would see in a museum or gallery, not a festival-like event where there is a lot going on, which tends to take away from the motorcycles. We want to create an environment that people can appreciate the bikes in a simple, clean space. From what I experienced, the tone for most of the day was pretty chill, at least until night settled in and the bands were really going. Any ideas on why? Thoughts on the slight change of date from previous years? I think the event is chill most of the day because of our presentation and the overall aesthetic of Root Studios. People understand that this event is not a let’s-get-crazy kind of party. 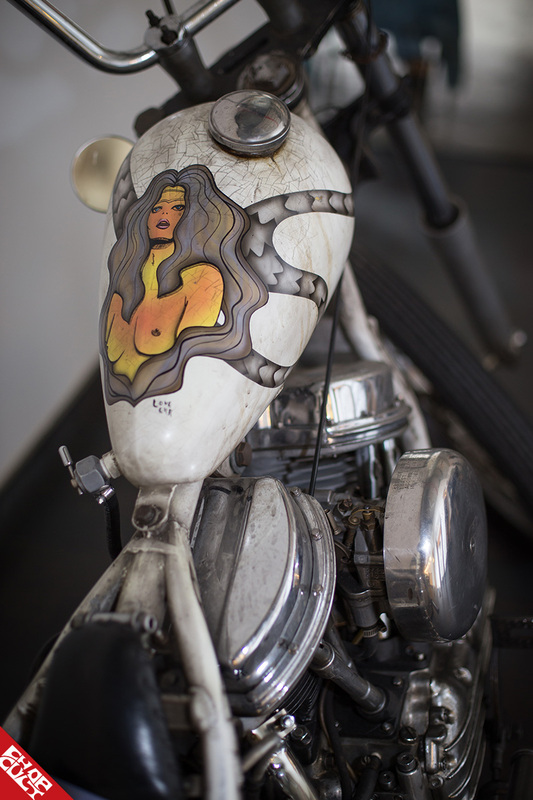 It’s about motorcycles as machines and art. The change of dates was due to a scheduling issue with the venue. Big thanks to Keino, John, and Jessica for a great event, and Keino for assistance with the feature. 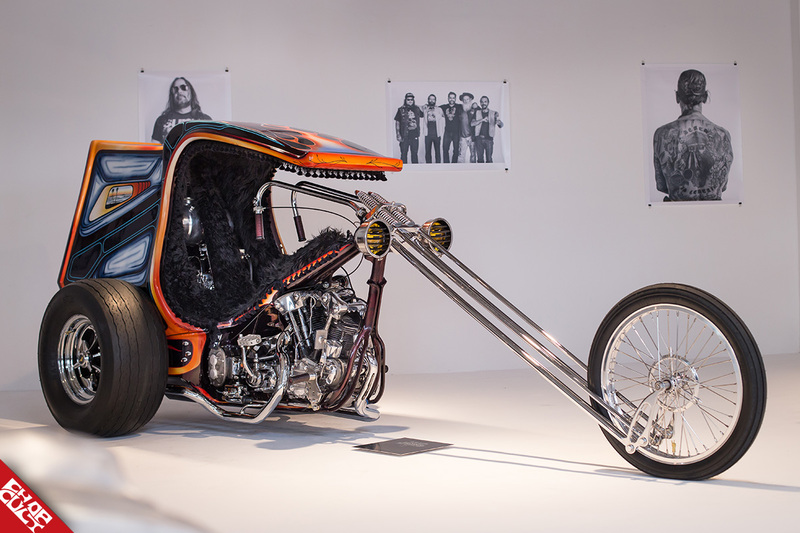 Where can i see more of thst knucklehead trike? Love the servi car seen in these photos! The Choppahead bike still gives me a big ol' grin! Good to see my brother from the other coast keeping up that shine.